The High Street in Old Portsmouth is part of the original city and has many historic buildings. The house where the Duke of Buckingham was killed by John Felton can be found in the High Street. 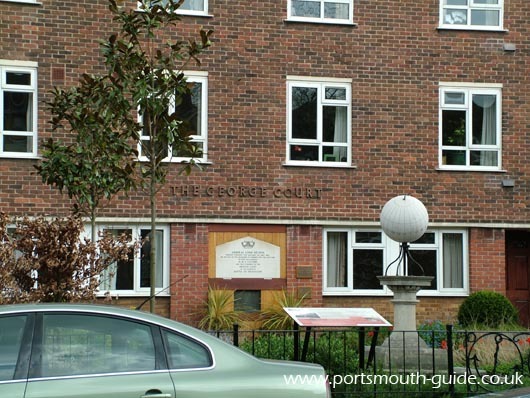 There is also one house numbered with a 1/2, the only house to have a half in Portsmouth. There is also George Court which used to be the George Hotel where Nelson spent his last night before boarding the Victory to sail for Trafalgar. The above picture shows the location of the George Hotel, which is now a block of flats. Also the pub where Buster Crab spent his last night before vanishing during a diving operation can be found in the High Street. 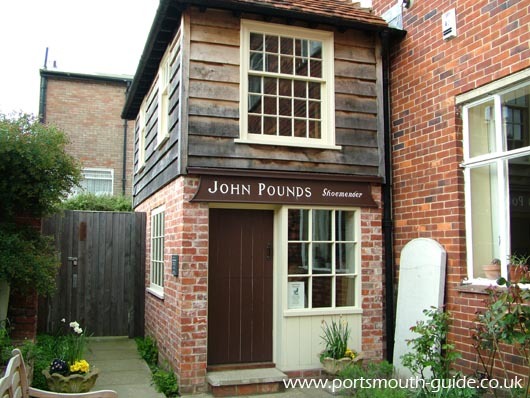 John Pounds shop used to stand near the High Street, now there is a memorial garden with a monument to him in it. The above picture shows a recreation of his shop that has been built in the High Street. As can be seen from the above items the High Street is a highly historical street. Another important landmark in the High Street is number 11 where George Villiers the Duke of Buckingham was assassinated by John Felton on 23rd August 1628 pictured above. At the time the Navy was in a poor state of repair and neither parliament nor the king was willing to provide the necessary resources to bring the Navy into a good state of repair. John Mason did the best he could with limited funds but could not find the money to pay the sailors or soldiers and the Duke Of Buckingham was head of the forces which meant he received a lot of criticism for the lack of pay. 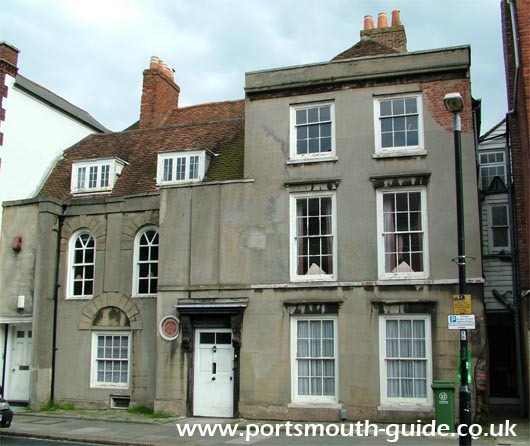 Then on the 23rd August 1628 John Felton travelled to Portsmouth believing that the situation could not improve while the Duke was alive and he found John Mason's house at 11 High Street where the Duke was staying. The house was very busy that morning and Felton's presence went unnoticed and as the Duke was about to leave the house and exchanged bows with Sir Thomas Fryer Felton stabbed the Duke before disappearing into the crowd. The Duke was later buried in Westminster Abbey.